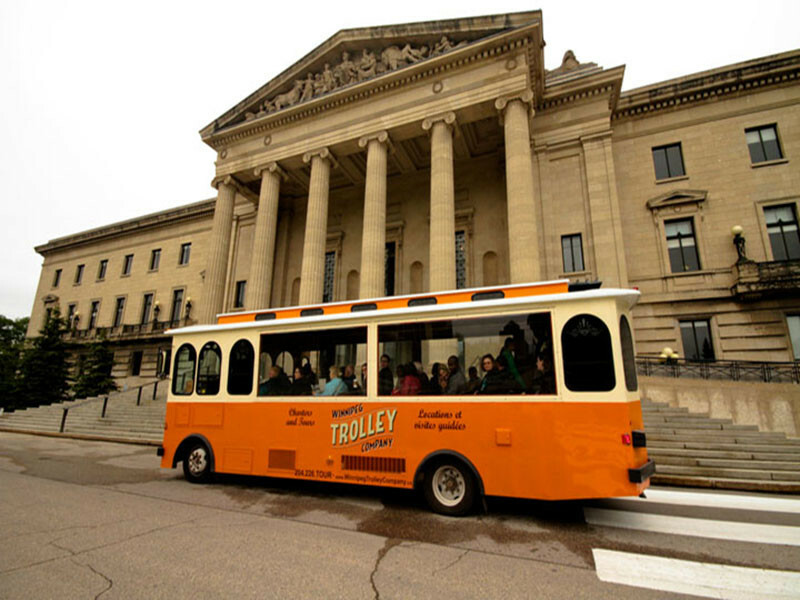 Hop aboard this trolley for an engaging and often humorous tour to discover what makes Winnipeg so special. The tour takes you through the charming French quarter of St. Boniface, downtown and Assiniboine Park, Winnipeg’s crown jewel. Tours depart from The Forks. Wednesday at 10:30 a.m.,1 p.m.
Thursday at 10:30 a.m., 7 p.m.
Saturday at 10 a.m.Sunday at 1 p.m., 3 p.m.